Spring has finally arrived and what better way to kick off the season than with a field trip to our freshly built projects in Western Massachusetts? 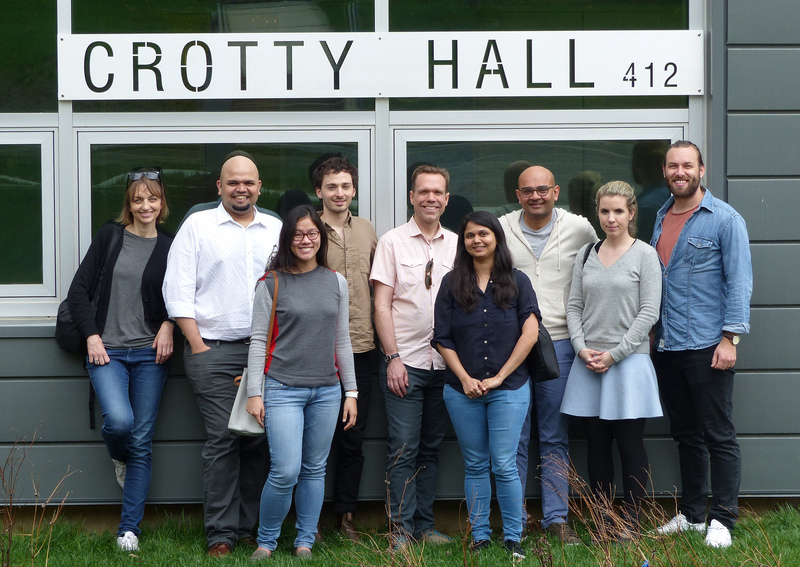 The New York team took time to stop and smell the flowers yesterday by visiting Crotty Hall at UMass Amherst and Greenway Dormitories at Amherst College. Crotty Hall is slated to be the first net-zero office building in New England and features daylit and naturally ventilated offices as well as one of the first applications of “radiant waves” – an innovative combined convective and radiative heating/cooling technology. We worked with Miller Pollin to develop architecturally integrated passive design strategies including orientation-specific high-performance façades and exposed thermal mass on this primarily wood-frame building. And, as an often-unsung hero, the geothermal system lays quietly under the building, keeping the occupants comfortable, while using just the electricity it gathers from the sun. 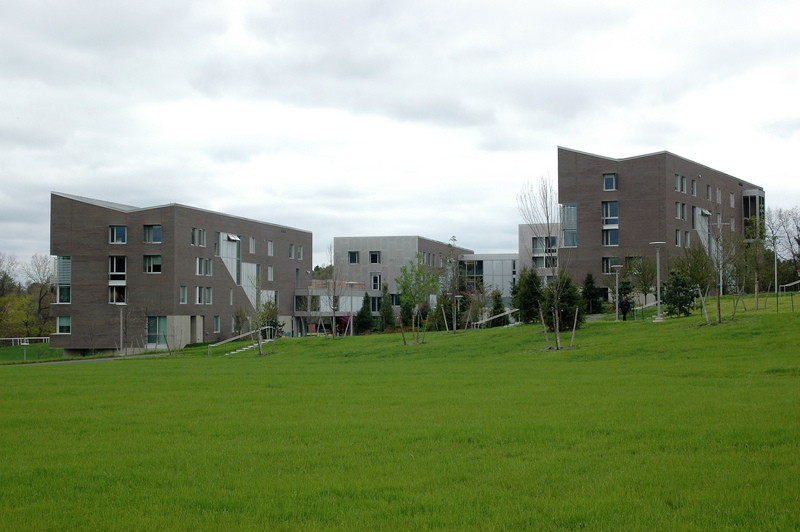 Greenway Dormitories is noted as the “most sustainable dorm on Amherst’s campus” and is completely naturally ventilated during the Spring and Fall semesters. Radiant tubing embedded in the slabs provided heat in the winter and will be keeping the dorms cool during the college’s summer programs. We worked with Kyu Sung Woo Architects to design the characteristic steel plates framing each window and the translucent Northern stair filled with highly-insulating Solera Aerogel technology which highlight the importance of façade design as part of the energy story. Both projects place a strong emphasis on occupants doing their part to contribute to being low-energy buildings. 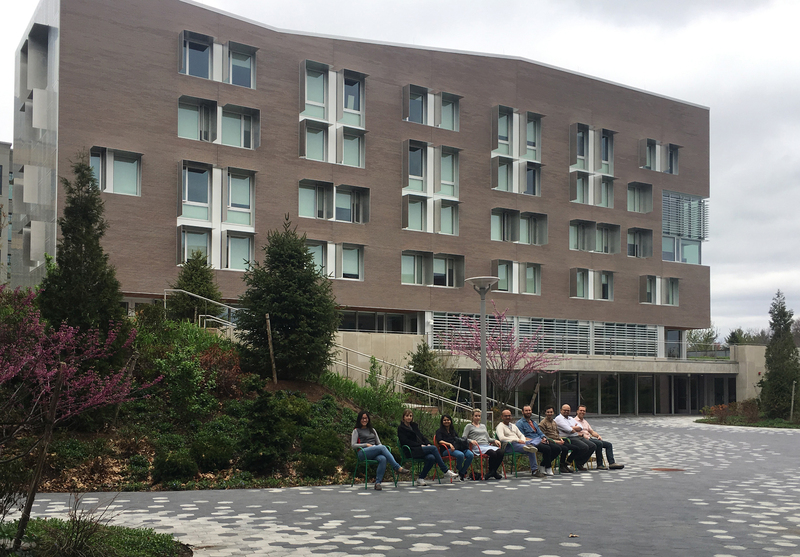 Greenway Dorms has an active program with “Eco-Reps” that educate students on how the building is designed for natural ventilation and encourages them to conserve resources. Crotty Hall organized a workshop to present the sustainable features of the building to the occupants and provide advice on ways they could interact with their building to improve their comfort without using energy; post-occupancy commissioning is lined up to help confirm the building is reaching its net-zero goals. We’re proud to have been part of the teams that created both these projects!